Carotid ultrasound test is a safe, painless procedure that uses sound waves to examine the structure and function of the carotid arteries in your neck. doctors determine what kind of treatment may be needed to lower the risk of stroke. Carotid arteries are located on each side of the neck. 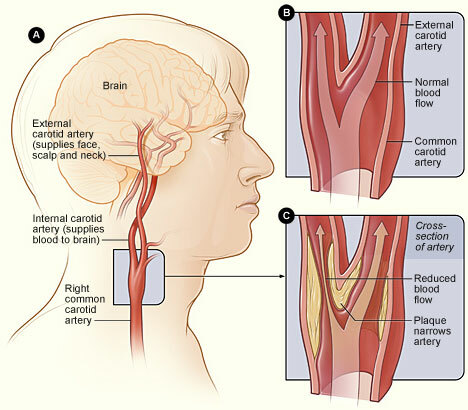 Carotid arteries deliver blood from the heart to the brain.